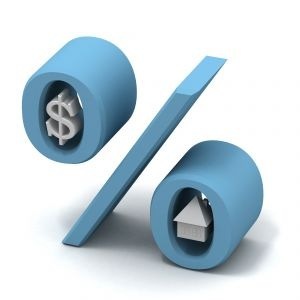 How Is The VA Home Loan Interest Rate Calculated? Are VA home Loan Rates Regulated By The United States Department of Veteran Affairs? Is The VA Home Loan Interest Rate Based On Credit Score? How Does The VA Home Loan Rate Compare With Conventional Interest Rates? When Is The Best Time To Lock In The Interest Rate? Do I Have To Pay Points? VA Home Loan Centers will compare rates from all approved lenders and find you the lowest rate available. The ranges of interest rates for this week are between 3.25% and 4.75%. To inquire about the lowest rate for today, call 888-573-4496. Each lender and bank will set their own rate. Because of this, it is important to check the VA home loan rates offered by all banks and lenders. Your lender will usually only quote you one rate. There may be a lower rate available. No. Each lender is allowed to set their own rate. APR stands for annual percentage rate. APR is not the interest rate. APR however is calculated on the interest rate less the pre-paid costs of the loan. APR is an indicator of how much the buyers closing costs are (regardless if these are paid for by the seller, with a grant or through a lender credit). Lender credit may not exceed 2% of the loan amount. Not exactly. The VA home loan interest rate is not based on credit alone. Different lenders may offer incentives to borrowers with excellent credit or penalties if the borrowers credit is below the Fannie Mae / Freddie Mac guidelines. If your credit score is below 620, you may have to pay a higher interest rate. However, if your credit score is between 620-850, you will be able to get the same rate. The VA home loan interest rate is usually equal to or lower than the interest rate for a conventional mortgage. The best time to lock in your interest rate is once you have chosen a property and know when you will be able to close. To request an agent to show you homes, use the form below. Include your name, telephone number and city you wish to purchase in. To lock in your interest rate call 888-573-4496. No. Points are not required for VA loans. Points are also known as discount points. A point is 1% of the loan amount. Points can be used to buy down the interest rate. Points are not the same thing as the VA Funding Fee. No. It is against the law for a lender to have a pre-payment penalty on a loan guaranteed by the United States Department of Veteran Affairs. Complete the VA home loan application located here.